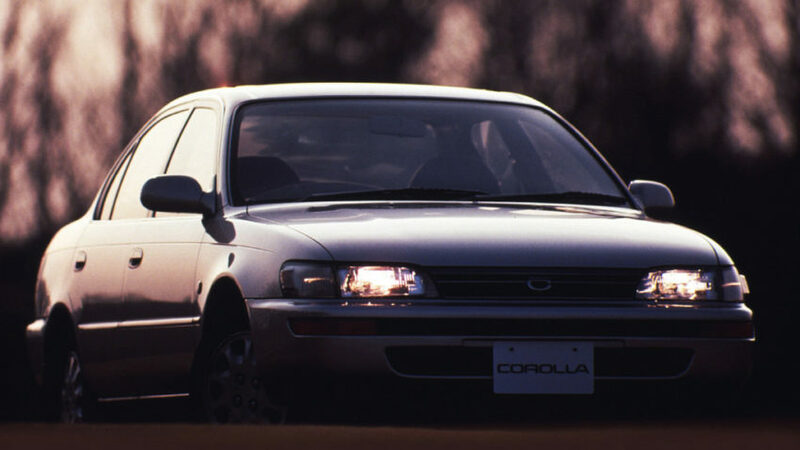 The 7th generation Corolla arrived in June 1991. 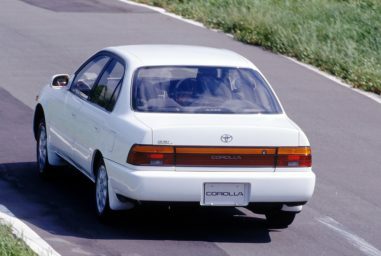 With this generation, the Corolla became even larger, heavier, and visually more aerodynamic than the model it replaced. 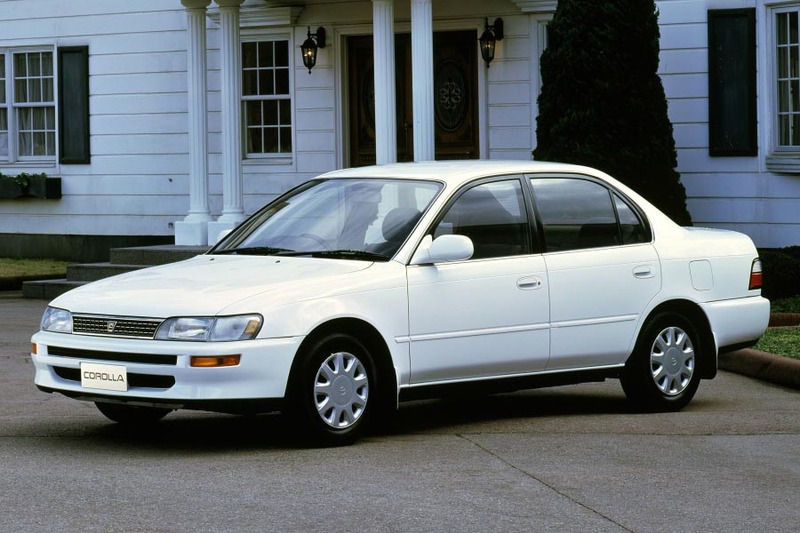 With its 2465 mm (97 in) wheelbase, the Corolla moved from subcompact into the compact sedan class. 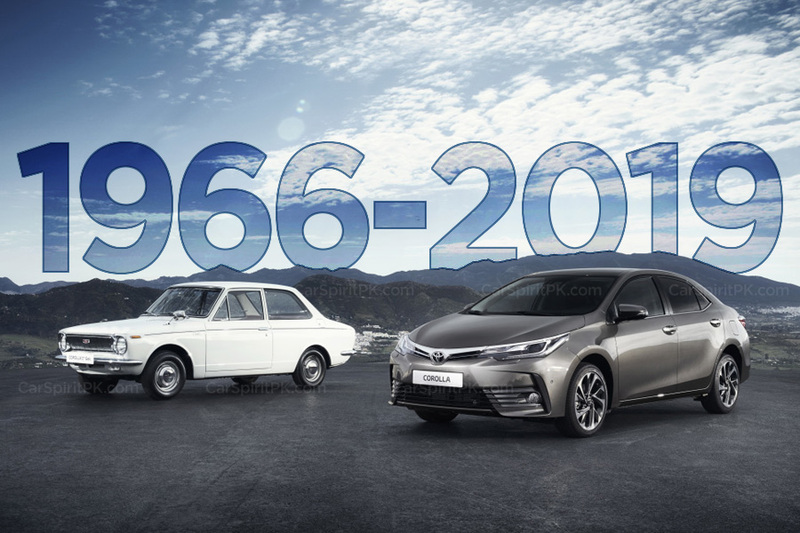 During the reign of the 7th gen E100, the Toyota Corolla become the best-selling nameplate in automotive history, overtaking the iconic VW Beetle. 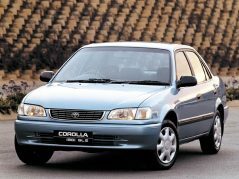 It was also the first Corolla generation to be assembled in Pakistan as Indus Motors rolled off the first unit from their assembly lines in 1993. 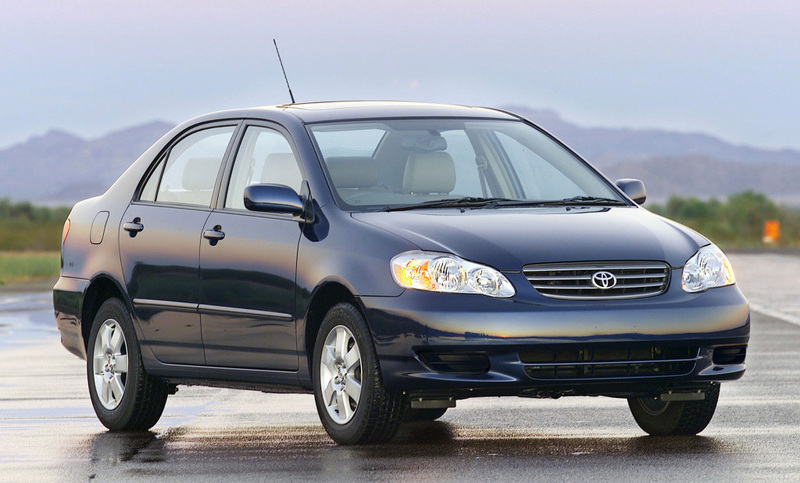 The 7th gen Corolla was produced in Pakistan for 9 years, up until 2002, the longest period for any locally assembled Toyota generation. 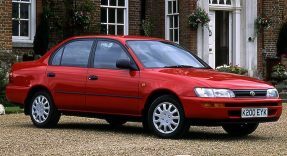 During these years Indus Motors kept updating the Corolla with minor cosmetic changes, most noticeably at the rear garnish. 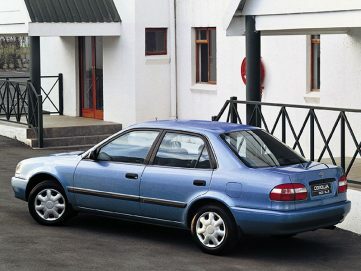 Interestingly its sales figures till 2001 were more than that of Honda Civic and City combined. 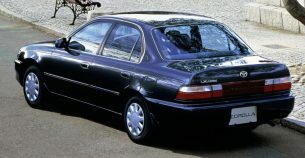 The E100 Corolla, commonly referred to as Indus Corolla was offered with two petrol engines– a 1.3 liter carburetor and 1.6 liter fuel injected unit as well as a 2.0 liter diesel engine. 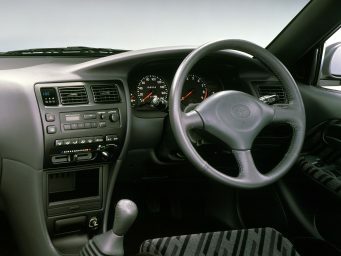 Manual transmission was a primary offering while automatic transmission option was available in selected variants. 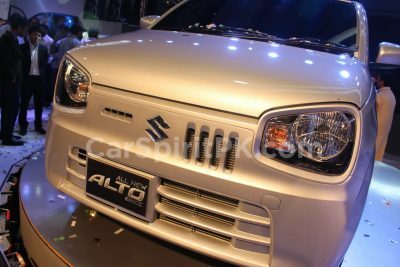 Although international versions were still available in several engine options including 1.3, 1.5, 1.6 and 1.8 liter petrol and 2.0 and 2.2 liter diesel engines, with 4/5/6 speed manual and 3/4 speed automatic gearbox options available. 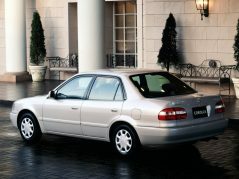 Internationally, the E100 Corolla was available in sedan, hatchback and station wagon body styles, however local assembled Corolla models were always offered in sedan form. 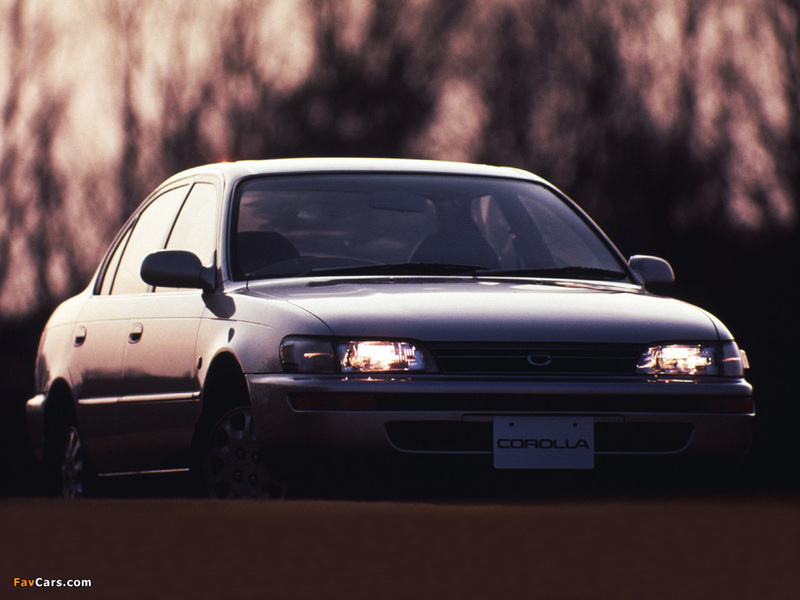 This generation of Corolla was introduced in May 1995 and was replaced with the 9th generation in 2002. 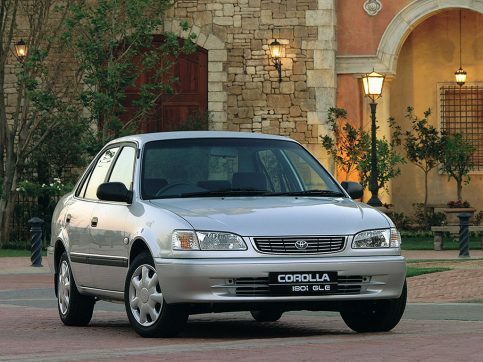 Indus Motors in Pakistan skipped this generation for Pakistan as they continued with the 7th generation Corolla till 2002. 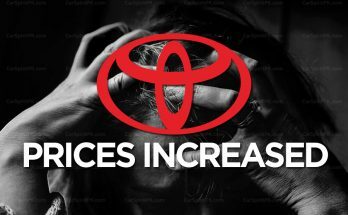 “We were forced to be extremely conscious of lowering the cost-price in order to square our accounts from the bubble era. 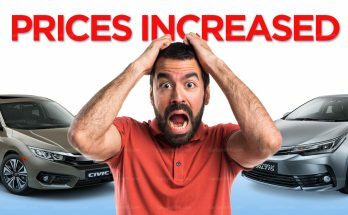 I was afraid that we would be so focused on getting the cost-price down that we might end up shaving off the essentials and thereby, weakening the product”. 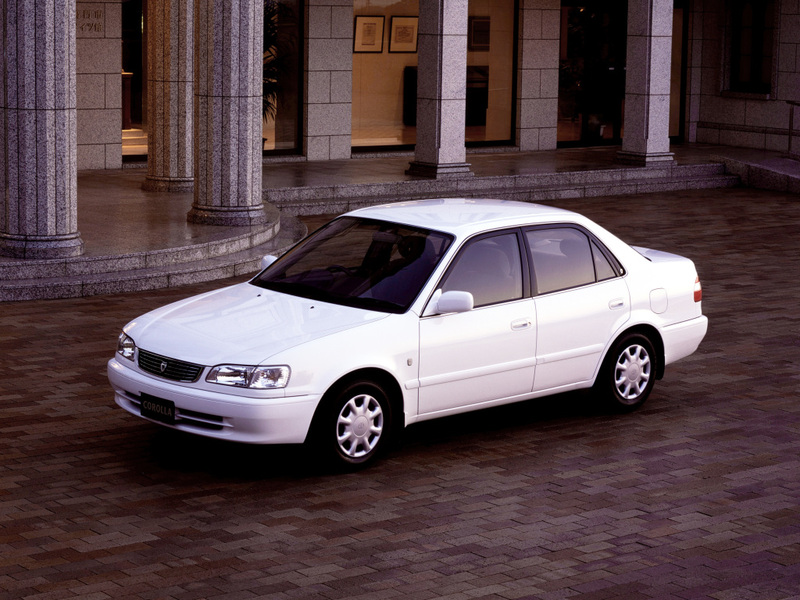 The E110 generation still managed to appear in our market in form of used import during the previous decade. 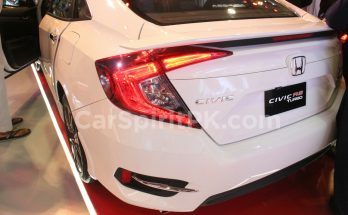 Like its predecessors it was available in sedan, coupe, hatchback and station wagon body styles with engine options ranging from 1.3, 1.5, 1.6 and 1.8 liter petrol and 2.0 and 2.2 liter diesel coupled with 5/6 speed manual and 3/4 speed automatic transmission options. 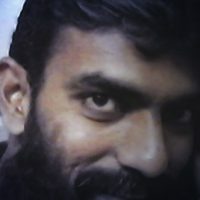 This generation was developed in year 2000 and started reaching export markets from 2001. 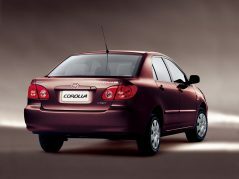 It was introduced in Pakistan in 2002 replacing the 7th generation Corolla after a stretchy 9 year period. 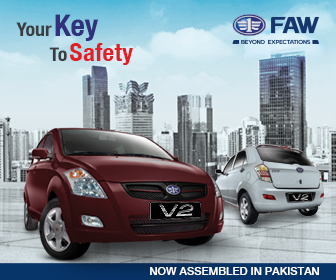 For Pakistani auto consumers it was a quantum leap compared to the E100. It was bigger and bolder, and turned many a heads when launched. 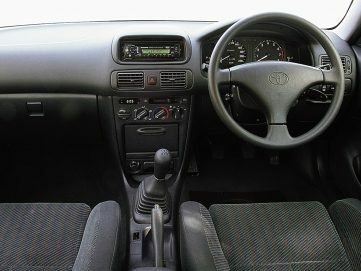 It was also the first locally assembled vehicle in Pakistan to offer a beige colored interior, the first to have an optitron meter, and the first to have LED tail lamps. 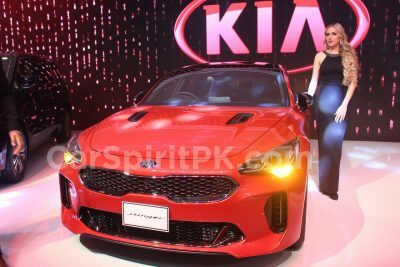 Initially in Pakistan it came equipped with a fuel injected 1.3 and 1.6 liter petrol and 2.0 liter diesel engine, with 1.3 liter Xli becoming a household name. 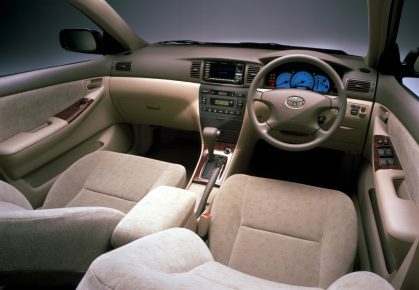 In 2005, Indus Motors introduced the flagship 1.8 liter Altis variant replacing the 1.6 liter SE Saloon version. 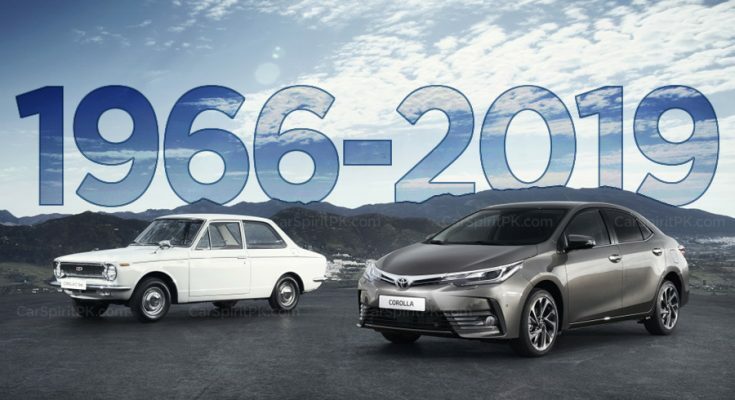 Thus the 9th gen E120 Corolla was the first generation in Pakistan to have the Altis variant on offer. 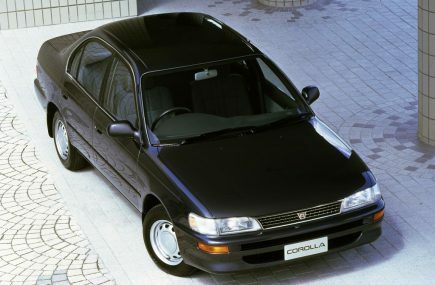 Other than local assembled variants, the JDM versions carrying a different visual appearance were also available in our market, thanks to used imports. 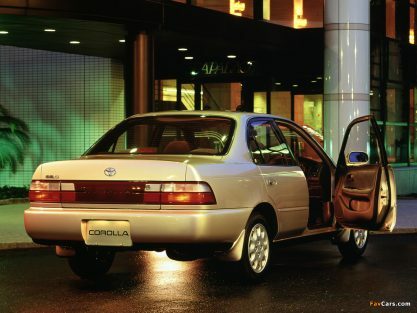 The ninth-generation Corolla was designed as a “global” automobile to suit different market needs, and is considered as one of Toyota’s most versatile and most popular models ever produced. 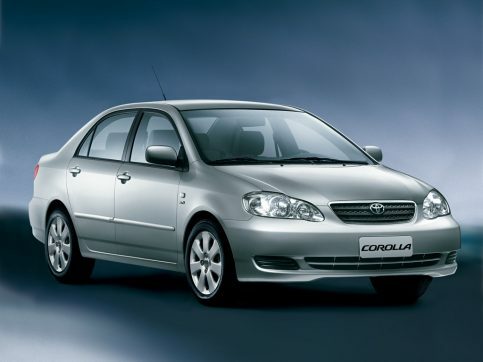 In global markets this generation of Corolla came equipped with a wide variety of engines ranging from 1.4, 1.5, 1.6 and 1.8 liter petrol as well as 1.4 and 2.0 liter diesel engines, with 5/6 speed manual, 4-speed automatic and 5-speed multi-mode (AMT) transmission. 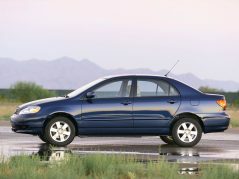 Available body styles were sedan, hatchback and station wagon.